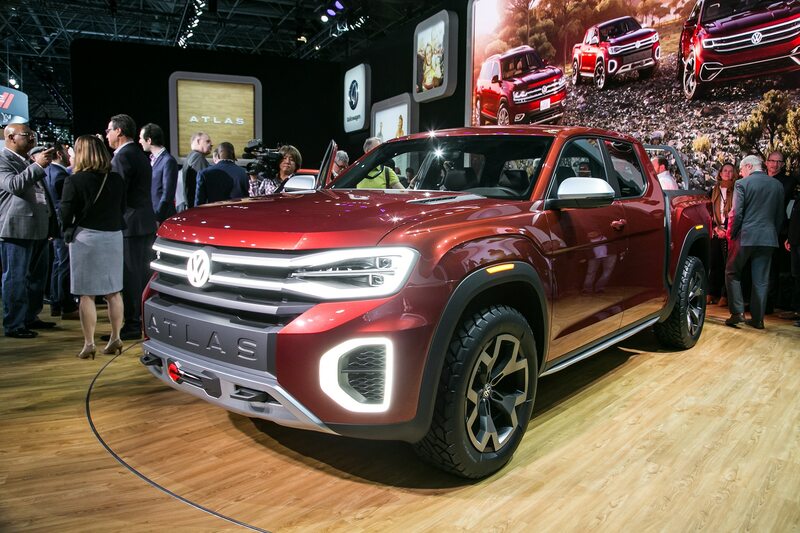 NEW YORK, New York — Fifty-four years after the Johnson administration imposed a 25-percent tariff on commercial trucks and pickups in retaliation for Germany’s “Chicken Tax,” the chief target of that truck tariff, Volkswagen, might just be ready to re-enter the U.S. market. 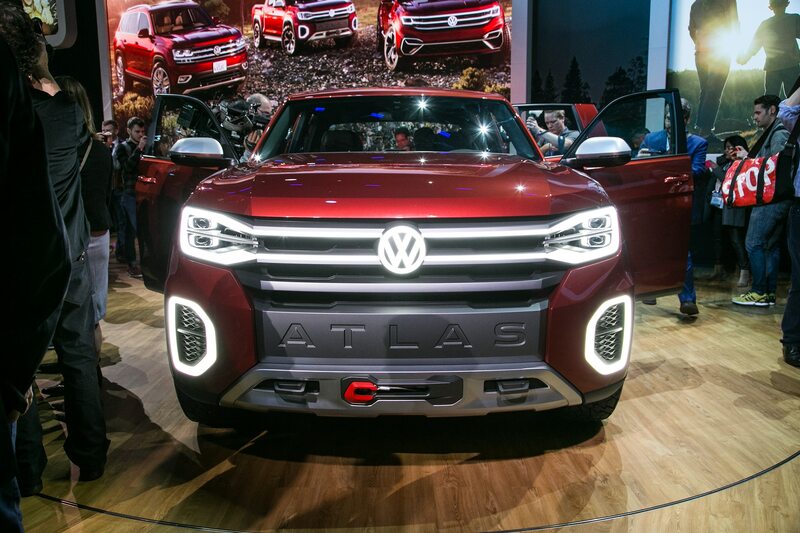 The Chicken Tax is still in effect, of course, so it would take a North American Free Trade Agreement assembly plant, or a few exemptions such as Australia, to build the Volkswagen Atlas Tanoak, which made its debut in concept form at the New York International Auto Show Wednesday. 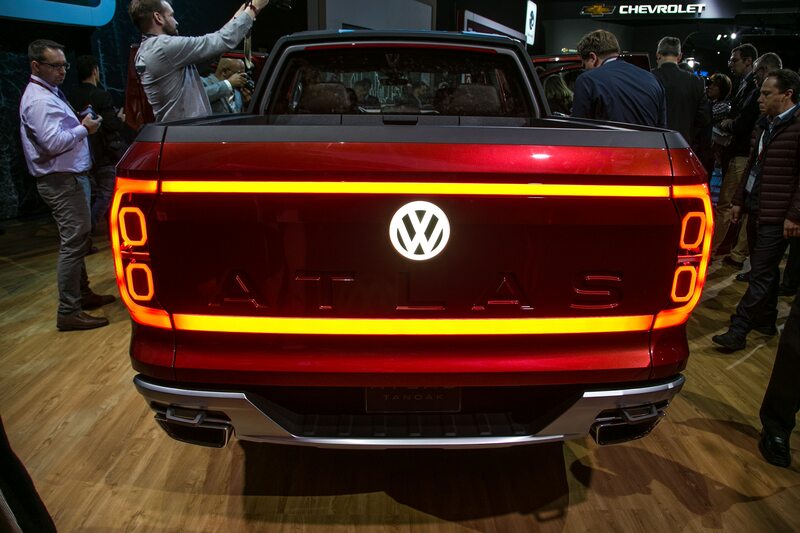 The VW Tanoak—yeah, this is a typically inscrutable Volkswagen name, though with an American connection— is based on the Atlas three-row sport/utility vehicle. 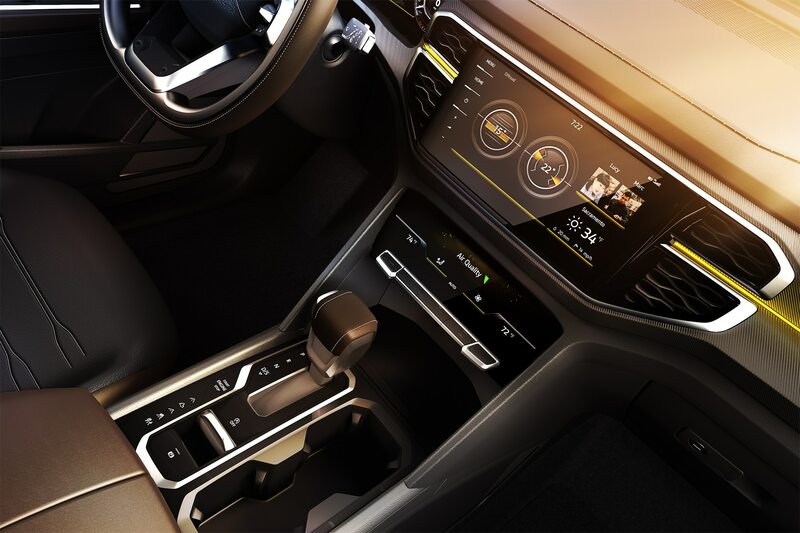 That is, it’s based on the long-wheelbase seven-seater, rather than the two-row Atlas Cross Sport “coupe” also introduced in The Big Apple. 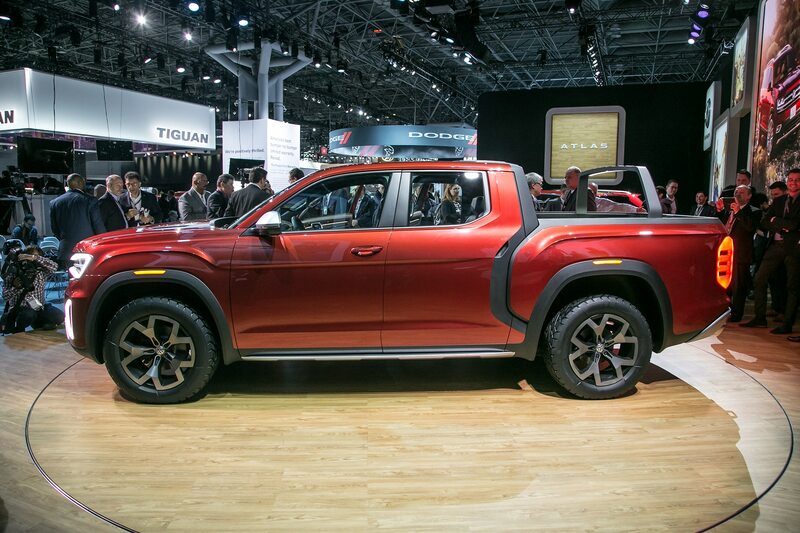 Compared with the bigger Atlas SUV, the Atlas Tanoak is 15.8-inches longer, at a near-Ford F-150-like 214.8-inches overall, with 9.8-inches of ground clearance, its chassis up two inches versus the Atlas SUV. 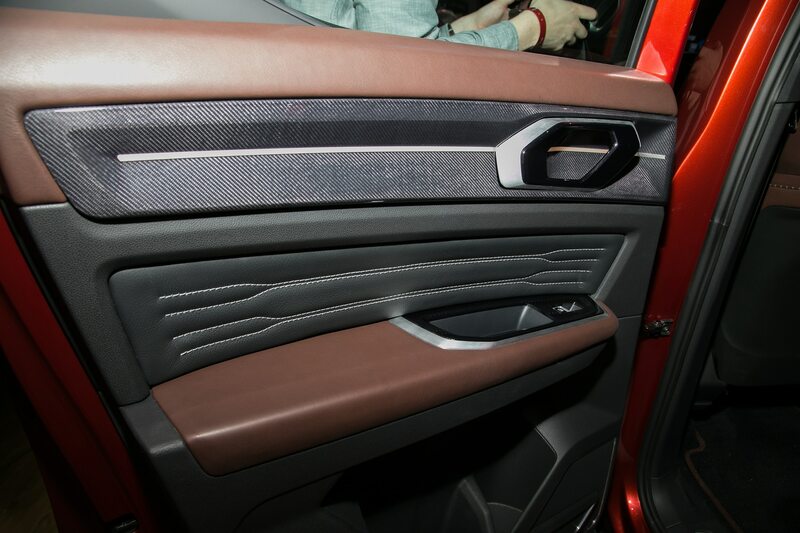 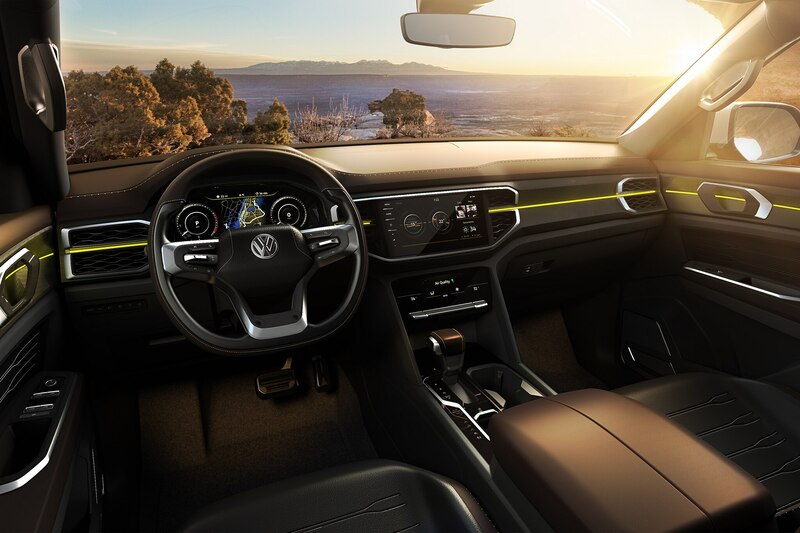 The cargo bed is 64.1-inches long, 54.1-inches wide—50.4-inches between the wheel wells—and 20.9-inches tall, VW says. 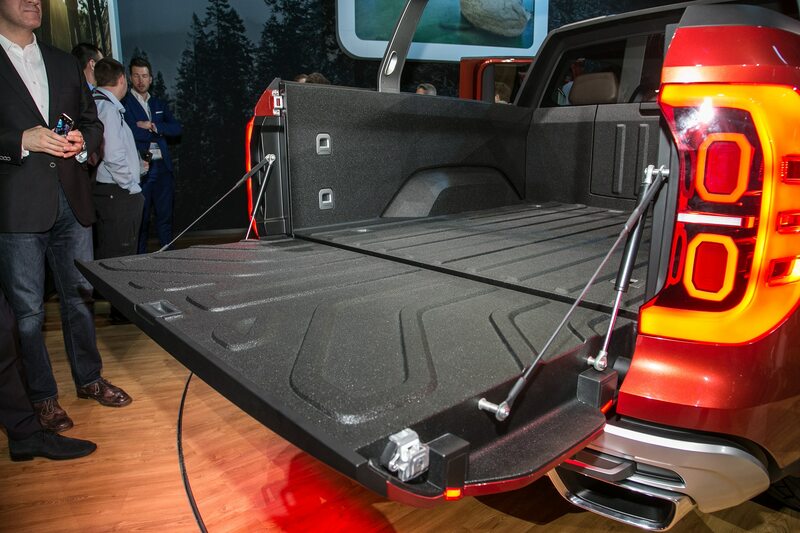 A rail integrated in the bed doubles as a carrier for canoes or ladders. 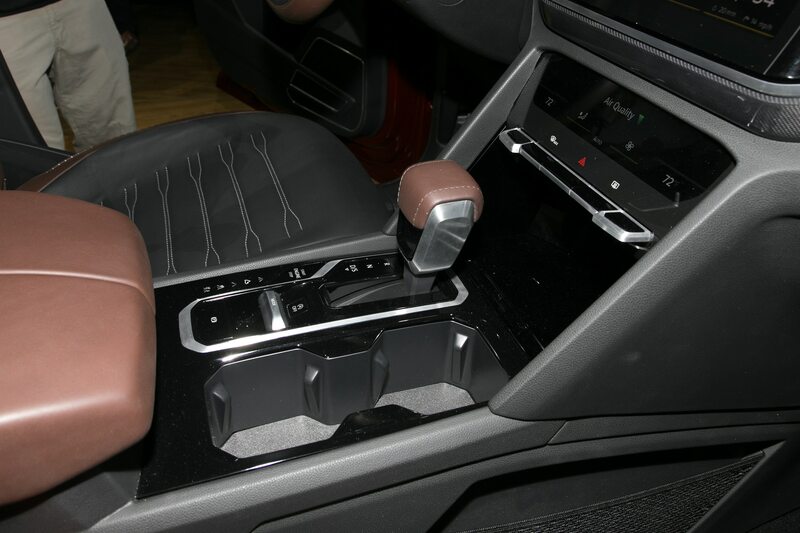 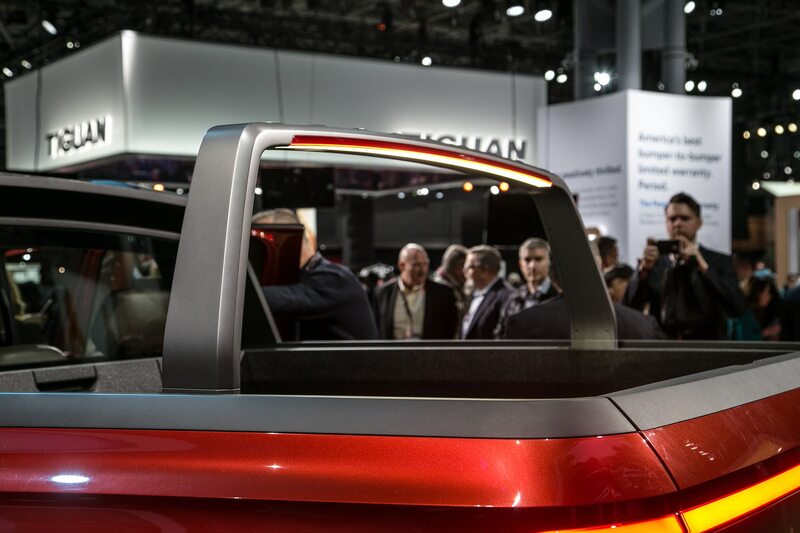 VW also touts the Tanoak’s digital instruments and controls, and what it calls “sport seating.” Its crew cab accommodates five passengers. 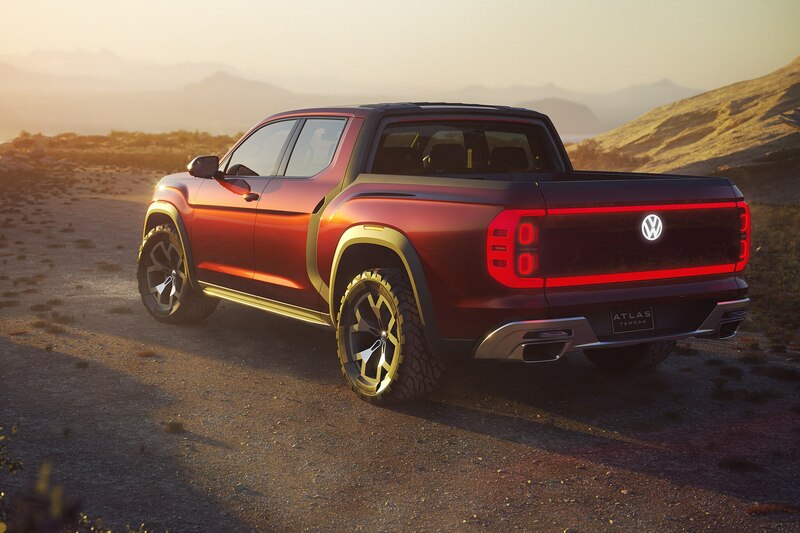 The VW Atlas Tanoak concept is powered by the automaker’s venerable 3.6-liter V-6, rated 276 horsepower and 266 pound-feet of torque. 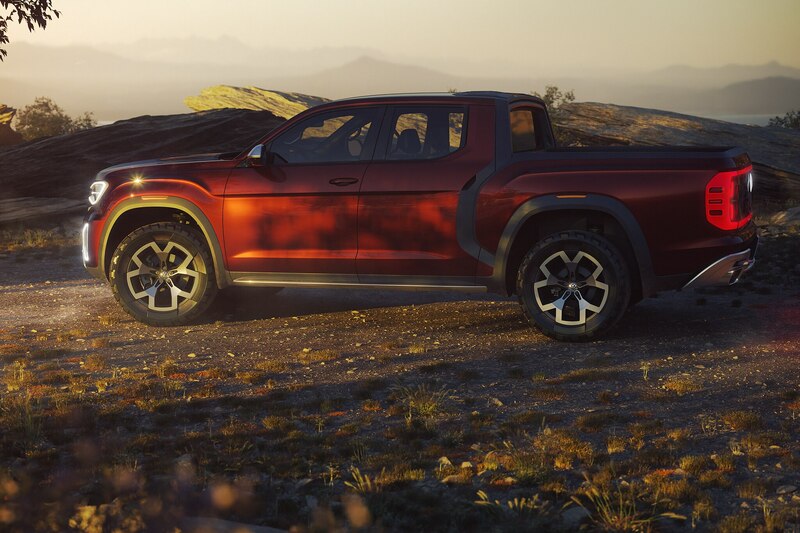 Volkswagen has butched up its Atlas-based sheet metal, including a bump in the middle of the engine hood, though in the end, this pickup is a Honda Ridgeline competitor, not an F-150/Chevrolet Silverado/Ram 1500 competitor. 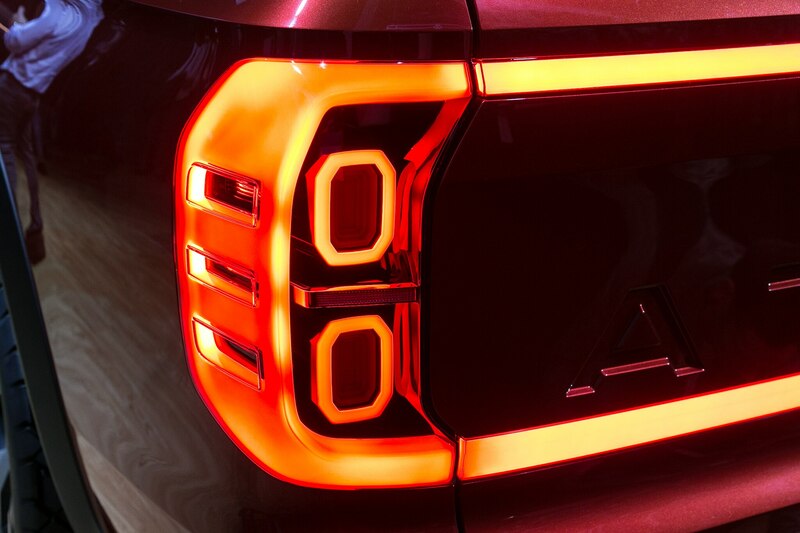 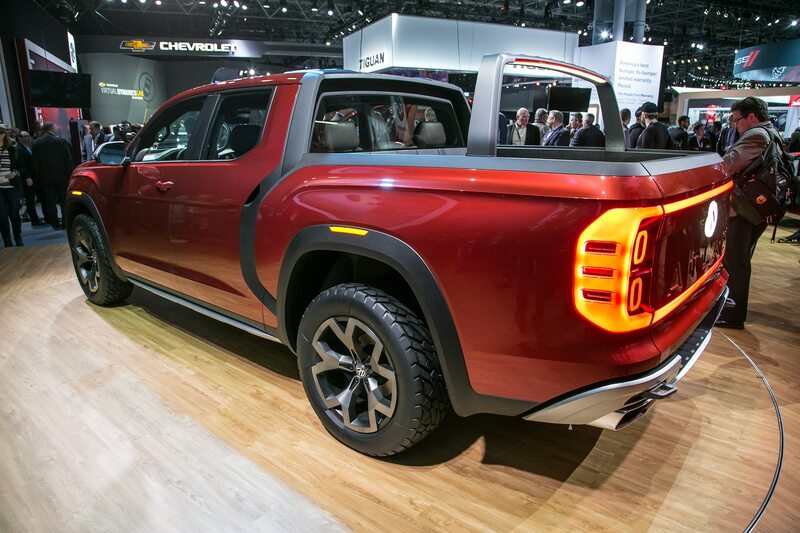 Butchified design cues include a “rugged tow hook” above each tailpipe. 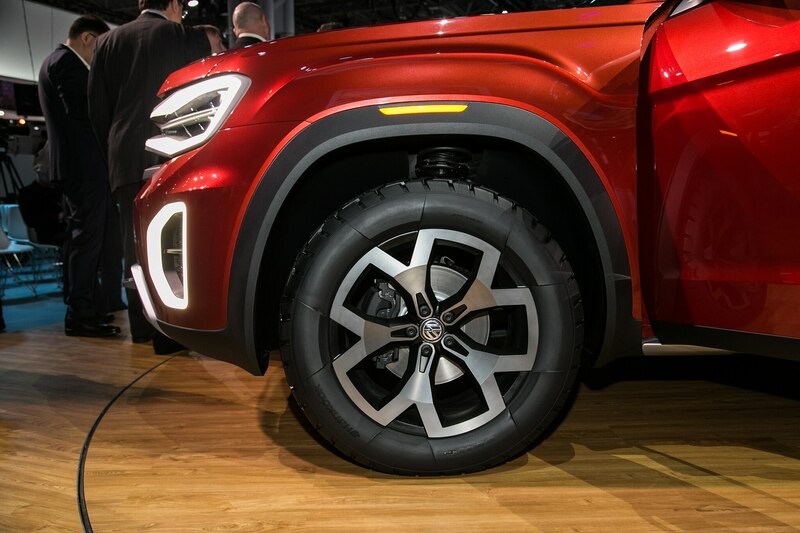 The Tanoak, by the way, is named for a species of tree native to the West Coast, able to grow up to 135-feet tall. 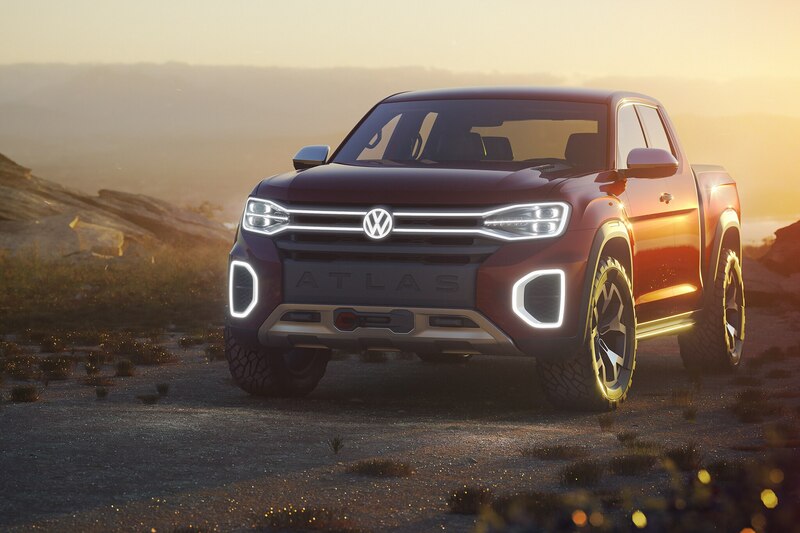 VW plans to expand the MQB-based Atlas into a full lineup, VW Group of America chief Hinrich J. Woebcken reminded us at the New York show, and the Atlas Cross Sport isn’t the full extent of the Atlas’ breadth. 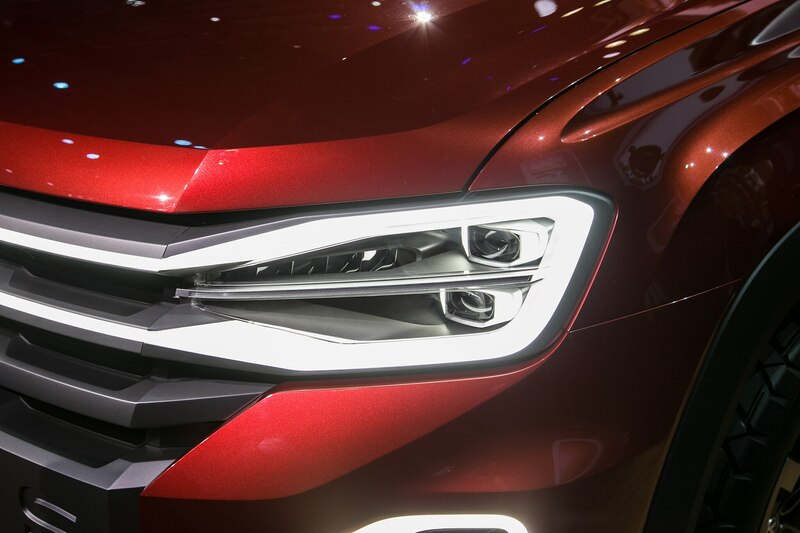 A new, MQB-based Passat midsize sedan is on the way (we wouldn’t rule out a Subaru Outback-like tall wagon based off that, either), and the midsize sedan, which dropped to a bit more than 60,000 units last year, plus the new Atlas three-row isn’t enough to eat up the Chattanooga plant’s 500,000-per-year capacity. 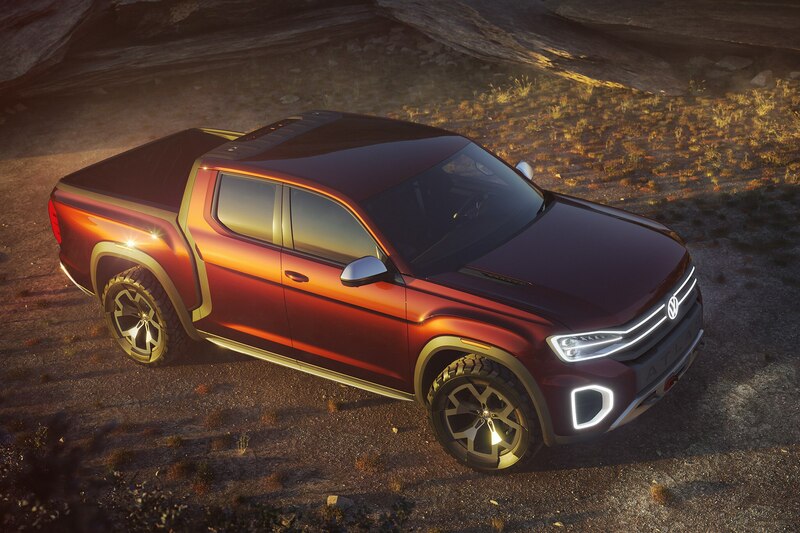 Volkswagen execs were reportedly taken by the Atlas Tanoak’s handsome (for a pickup) styling and had to show it in New York, even if it takes some of the bluster out of the Atlas Cross Sport’s unveiling. 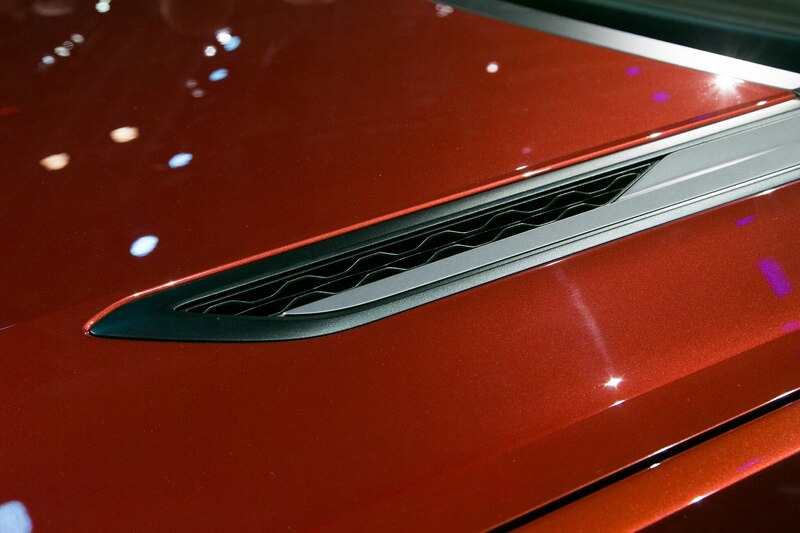 Production sheet metal would undoubtedly be more conservative than what you see here. 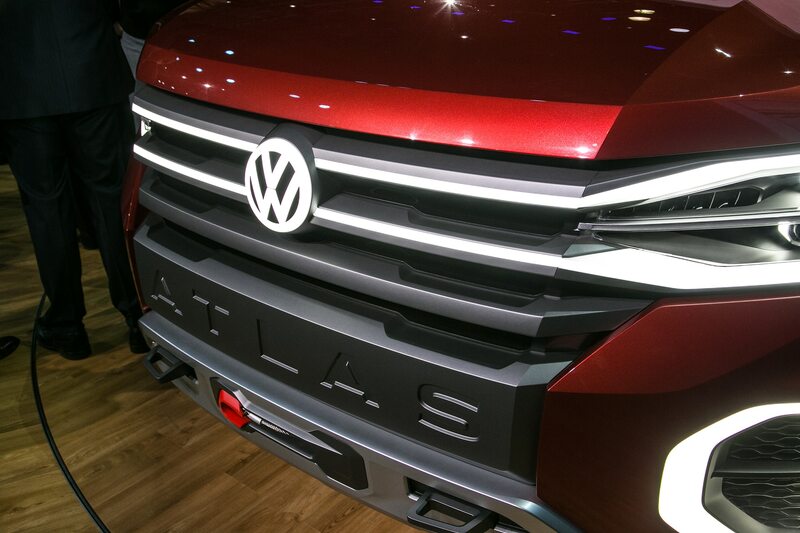 But VW has struggled for 48 years now to reach new levels of U.S. sales, and with an MQB-based Atlas family in the works in Chattanooga, it might finally be ready to answer President Johnson’s Chicken Tax.